Accelerate (#14, Lookin' At Lucky), Joel Rosario up, breaks from the outside in route to winning the Breeders' Cup Classic at Churchill Downs 11.03.18. John Sadler trainer, Hronis Racing LLC owner. It's a giant Saturday at Gulfstream Park, featuring the third running of the Grade 1 Pegasus World Cup and the inaugural running of the Pegasus World Cup Turf. The four (graded) undercard stakes should also be full of strong betting opportunities. Champion Shamrock Rose leads a field of eight in the G3 Hurricane Bertie, and Holy Helena is the tepid 3-1 favorite in the 12-strong G3 La Prevoyante. The G3 Fred Hooper drew a field of 10 topped by Coal Front, and the G3 W.L. McKnight is a very strong edition with 14 entrants and a 4-1 morning-line favorite in Zulu Alpha. The Pegasus Turf features dual-surface star Yoshida as the top choice, but Catapult has been training extremely well for this race and will be making up ground in the lane. Channel Maker is also in good form, and it's hard to leave out Eclipse Award winning Irad Ortiz and Chad Brown as they team up with the talented Bricks and Mortar. 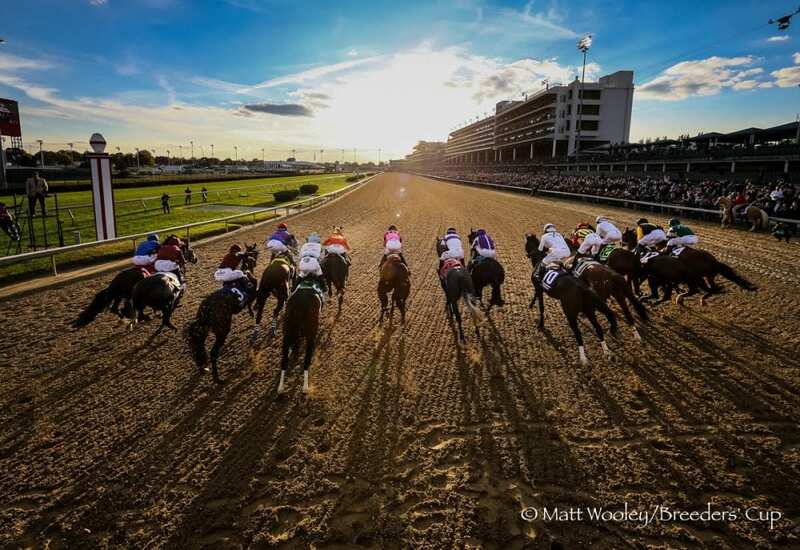 In the day's feature contest, most bettors will be drawn to Breeders' Cup winners Accelerate and City of Light as they make the last starts of their careers. City of Light did beat Accelerate earlier this year, of course, but the 12-horse field is deeper than just those two and local star Gunnevera ran enormously well behind Accelerate in the Classic last out. Bravazo always seems to be in the mix of things, and Dallas Stewart trainees like Seeking the Soul have a habit of hitting the board at long odds. Patternrecognition could provide some value and fits on numbers, and while the Mexican start Kukulkan may be a step below the competition, the pick up of world-class rider Frankie Dettori certainly won't hurt the good-looking colt. Don't forget that on Sunday, multiple Grade 1 winner Midnight Bisou will make her seasonal debut in the Sam Houston Ladies Classic. Best of luck in your wagers this weekend! This entry was posted in Weekend Lineup and tagged accelerate, bravazo, city of light, gunnevera, Horse Racing, Pegasus, pegasus world cup, seeking the soul, thoroughbred, weekend lineup by Paulick Report Staff. Bookmark the permalink.